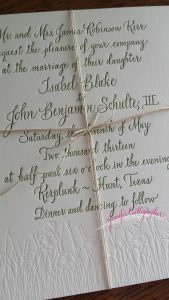 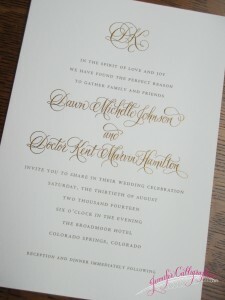 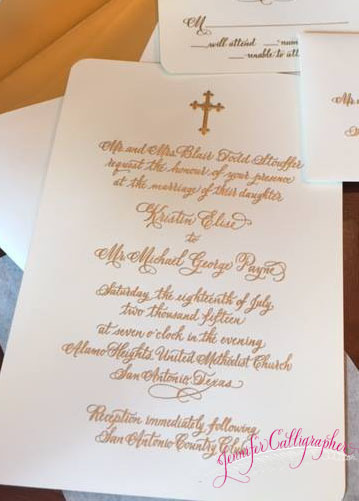 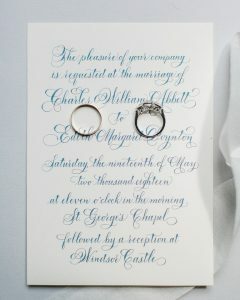 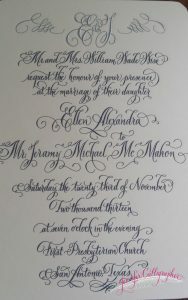 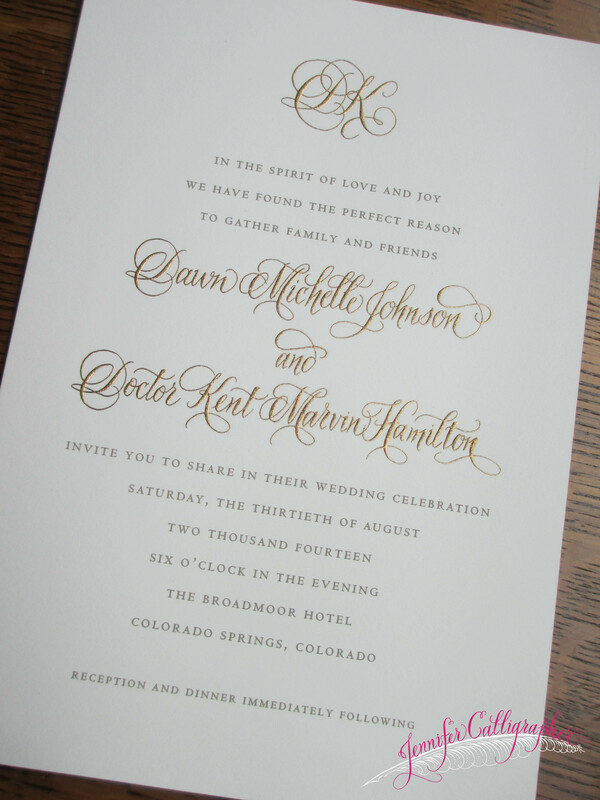 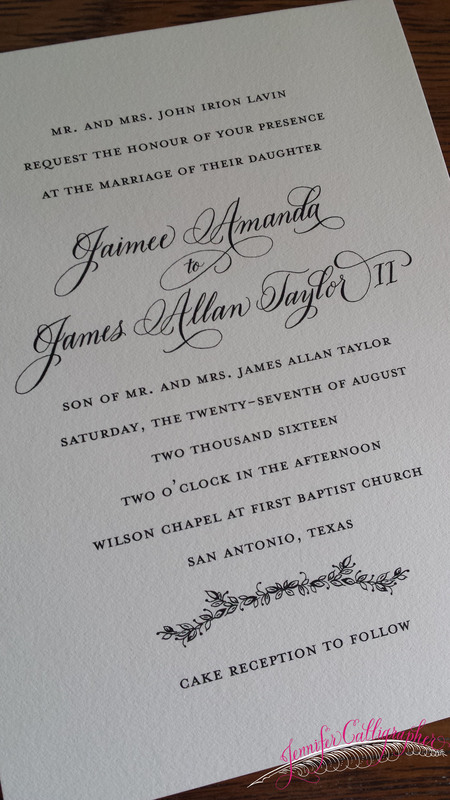 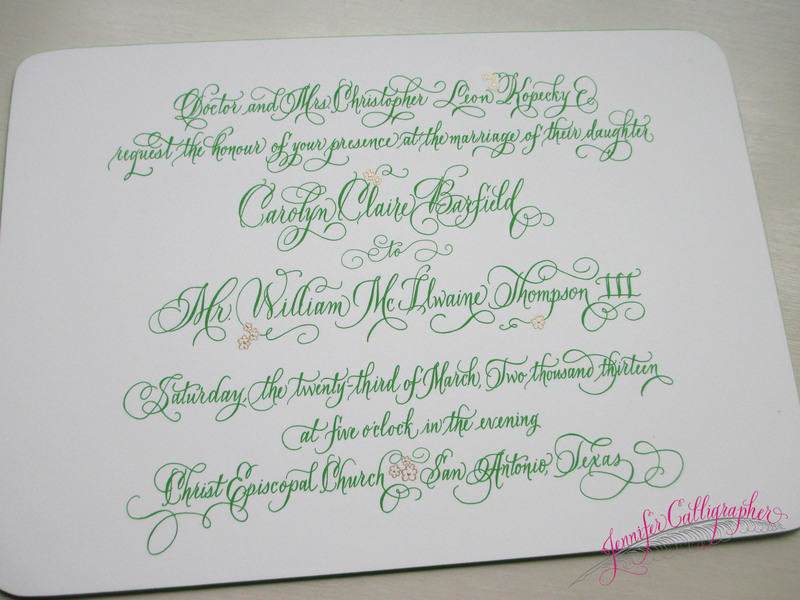 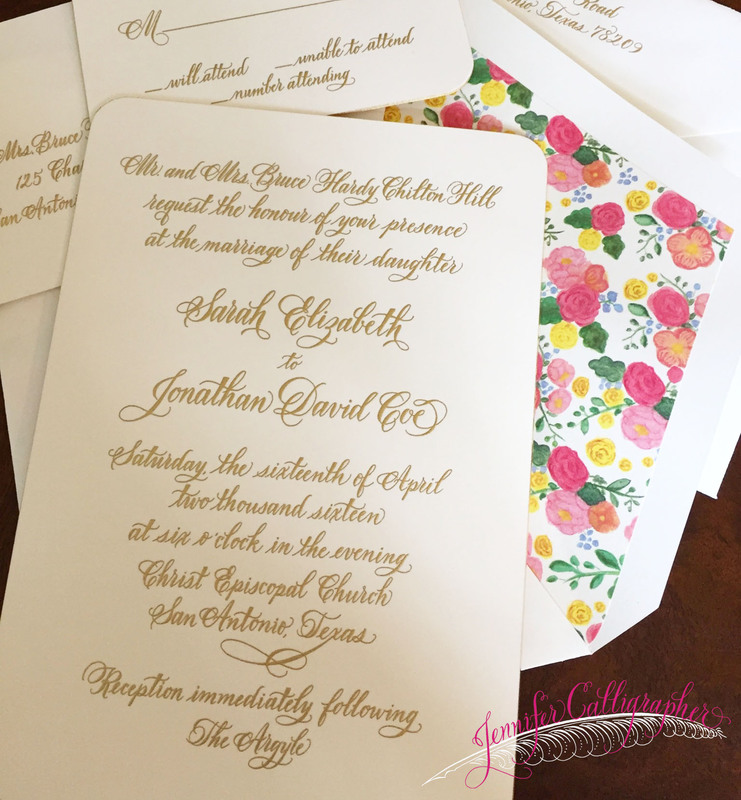 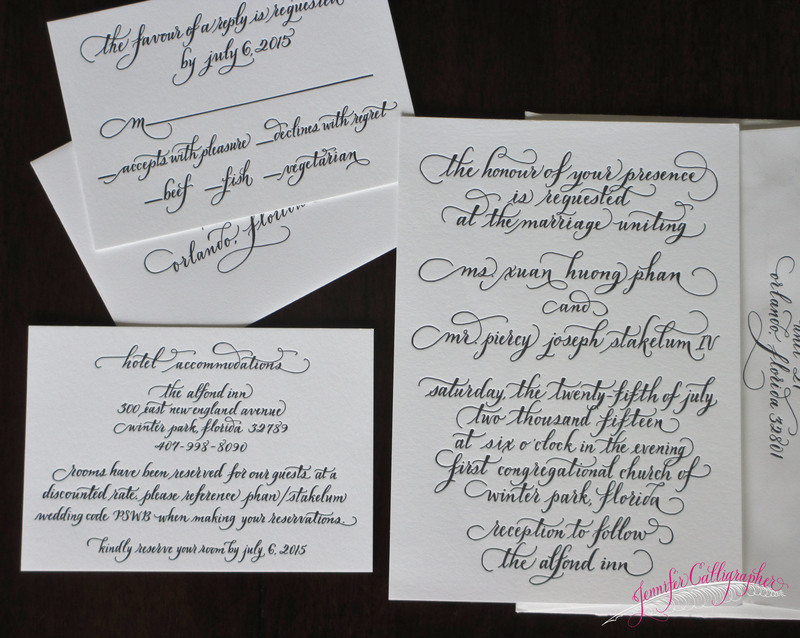 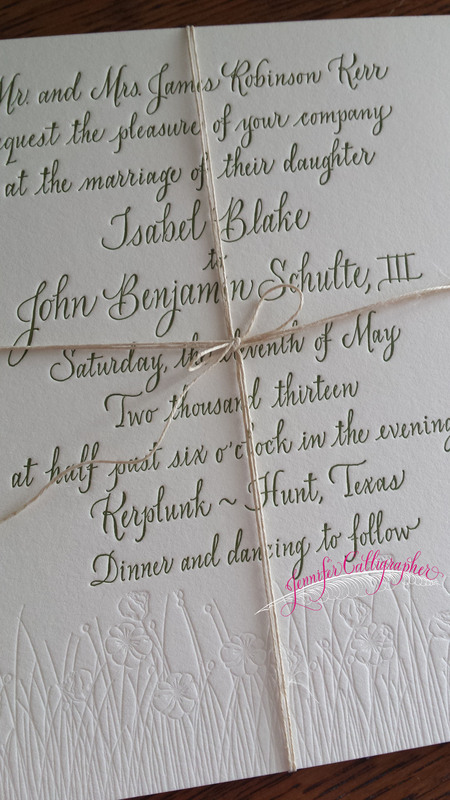 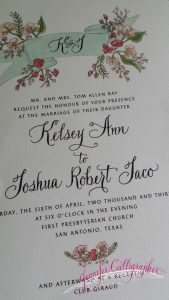 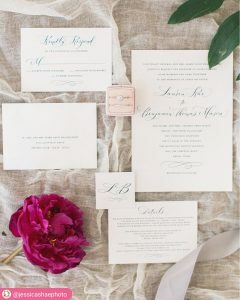 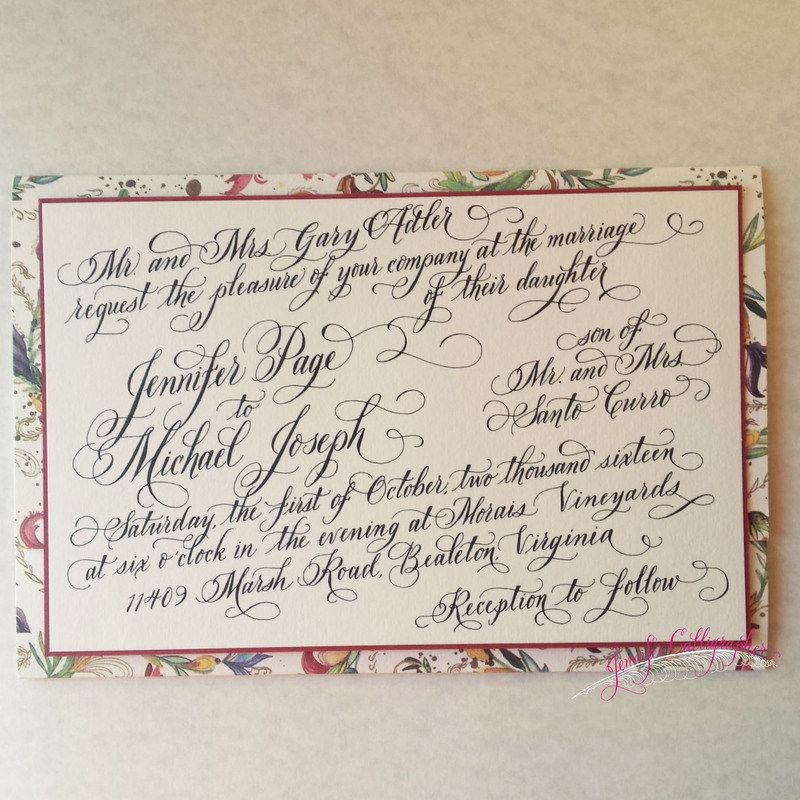 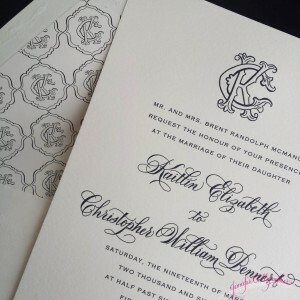 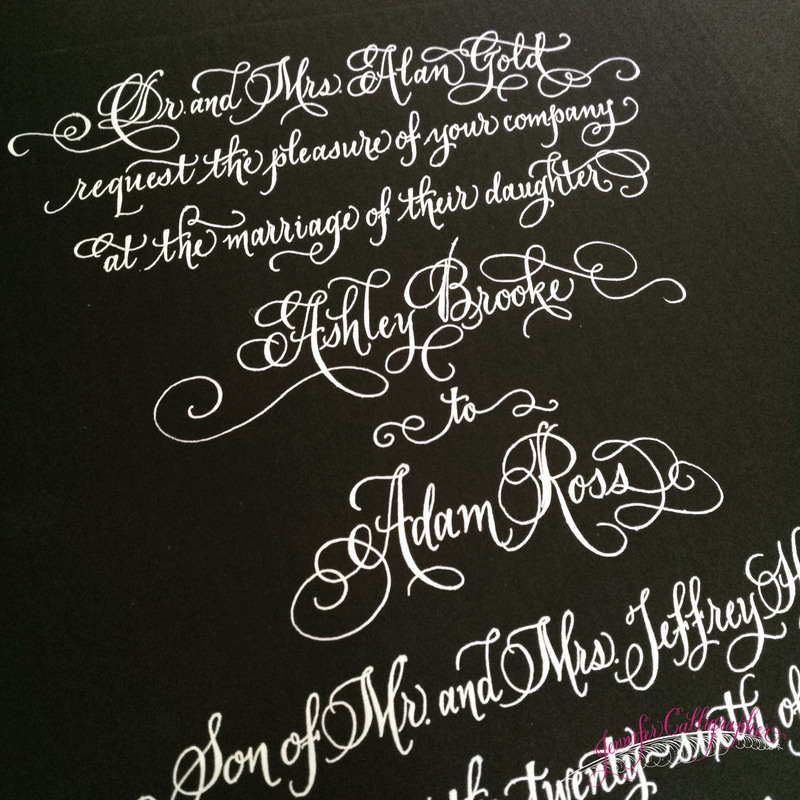 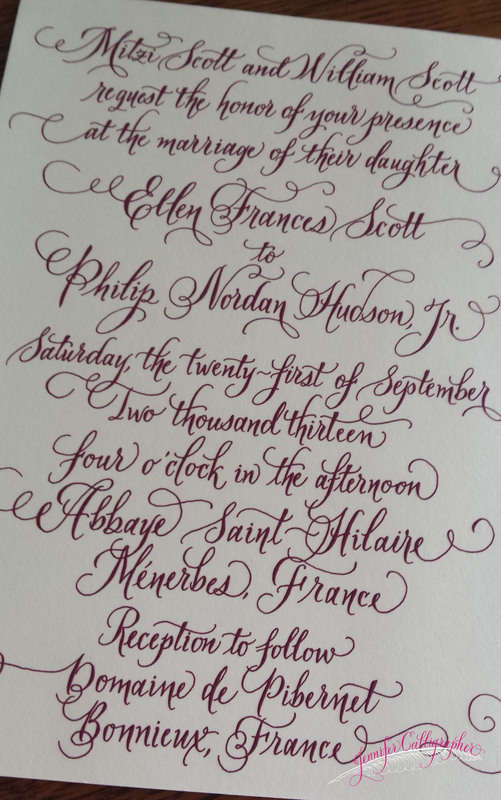 The art of creating a wedding invitation in calligraphy ~ it’s a beautiful and fun process. 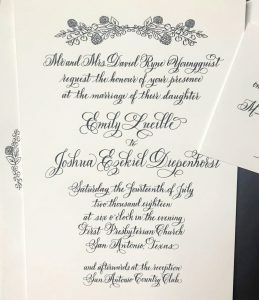 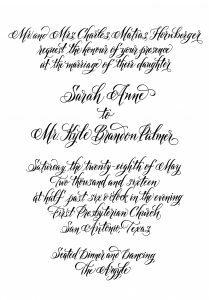 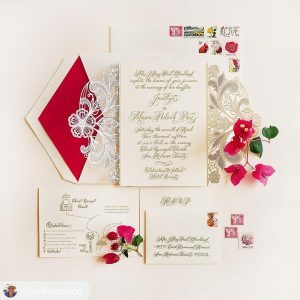 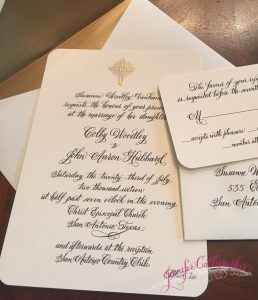 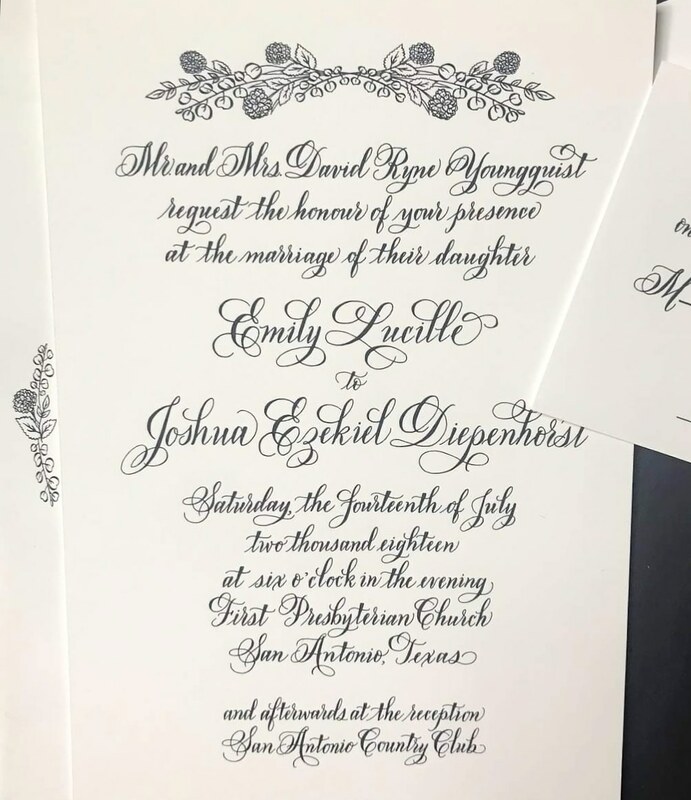 Starting with the information from the bride or stationer, my first step is to make a pencil draft to provide a general idea of how the invite will look. 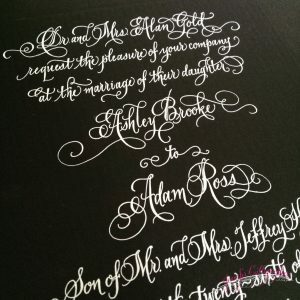 From there, I go on to letter the piece in ink. 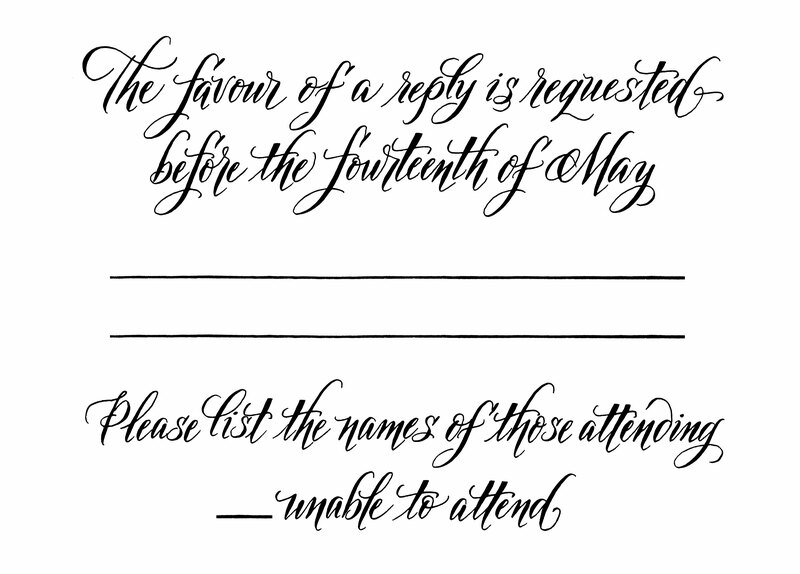 If there is a word (or a line!) 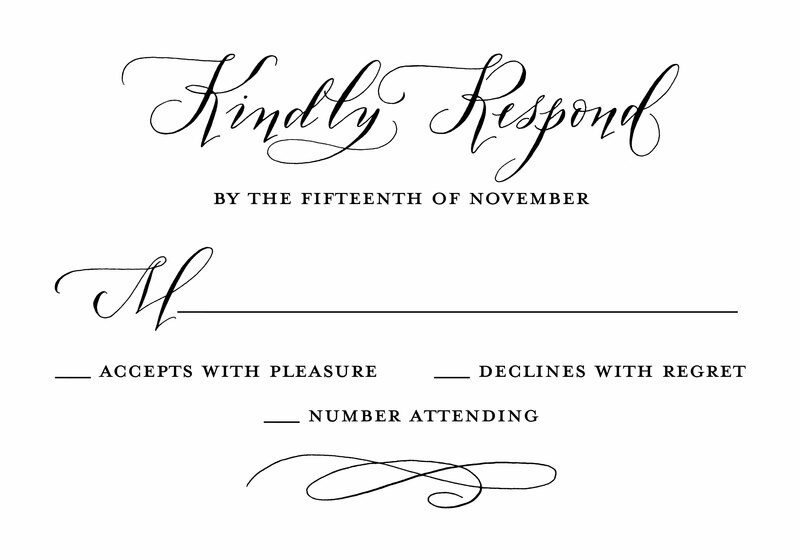 that does not look right to me, that’s okay; I can keep writing. 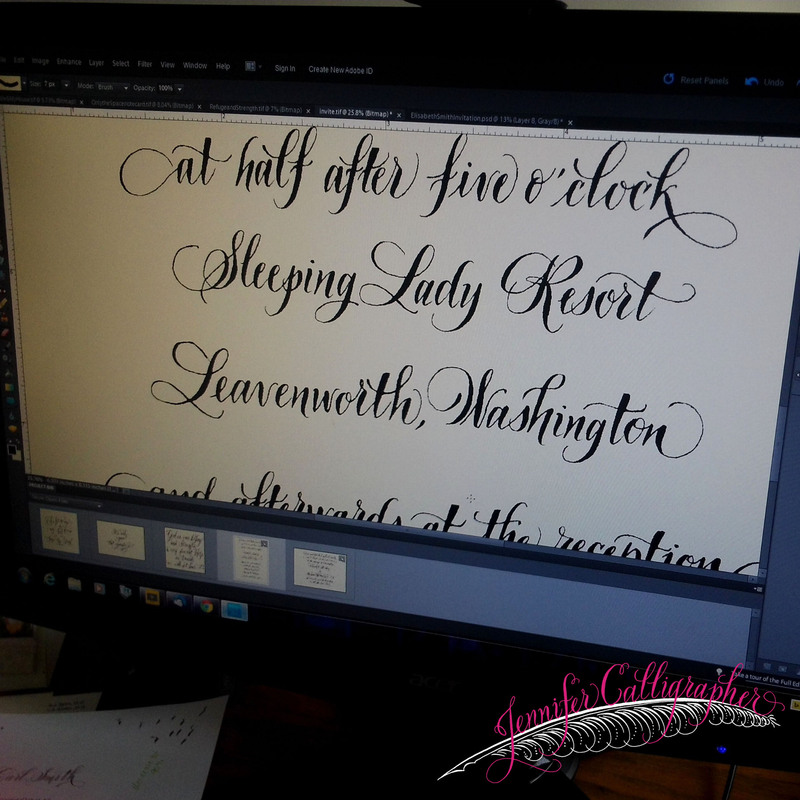 In my editing program on my computer, I can correct my lettering and layout. The editing process is tedious: erasing everything from tiny blots of ink, to dust that accidentally gets scanned in, and cleaning up little wobbles that might appear. 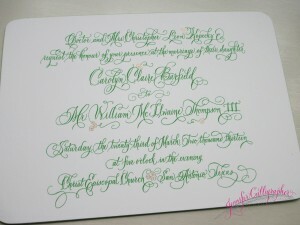 After all, my hand is not always perfectly steady! 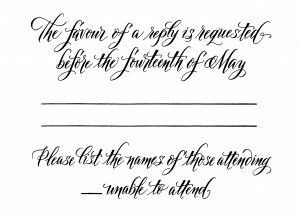 🙂 Then I make sure each line is straight and spaced properly. 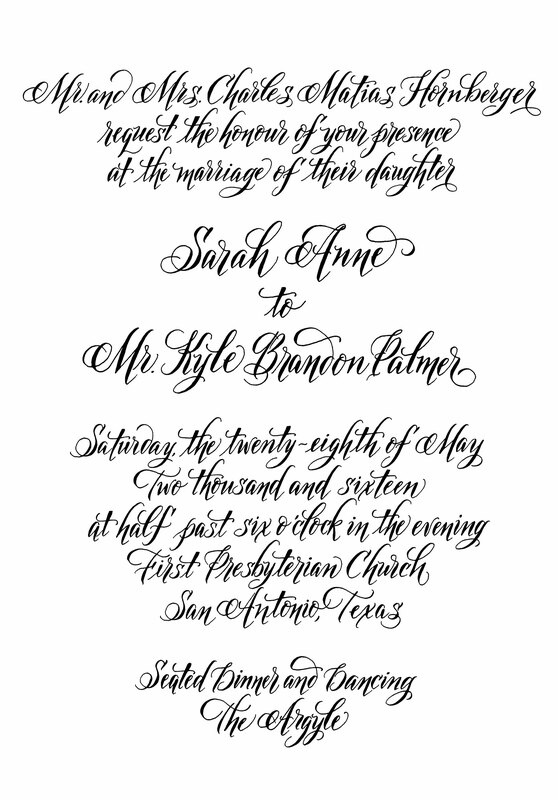 Finally, I can provide a proof, and then send the completed digital file to the stationer or printer! 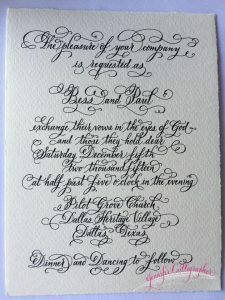 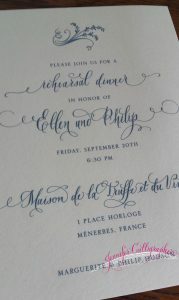 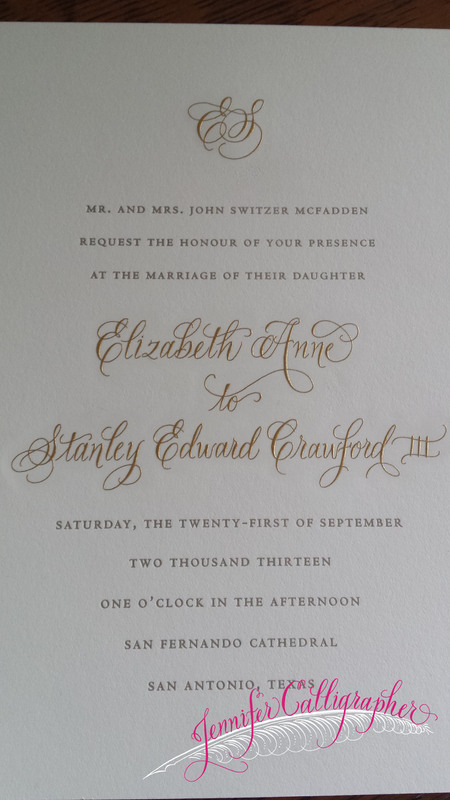 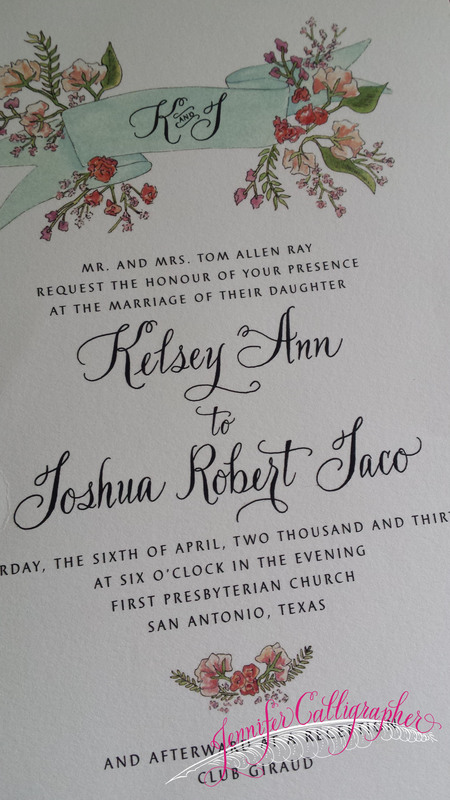 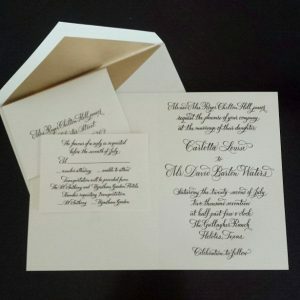 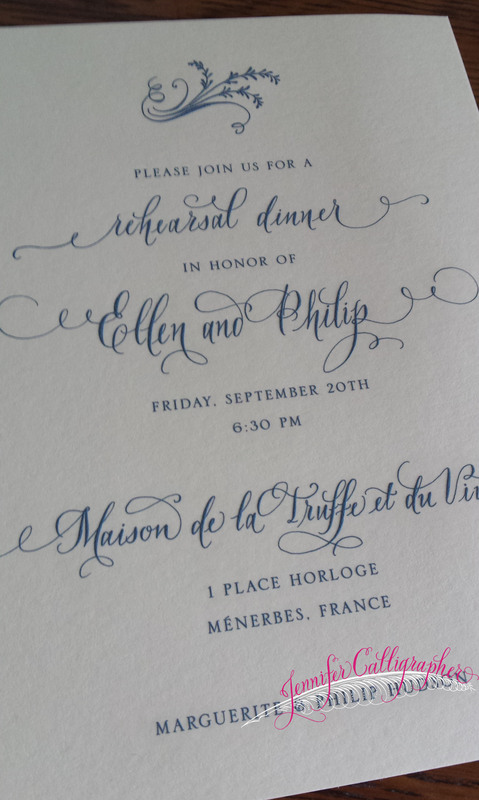 As the calligrapher, it’s a treat if I get to see the finished invitation, and a treasure if I am mailed one to keep! 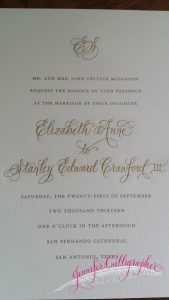 Below is a collection of some of the wedding invitations I have created over the years. 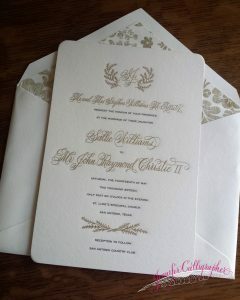 Should you desire to work directly with me to have your invitations made, please send me an email! 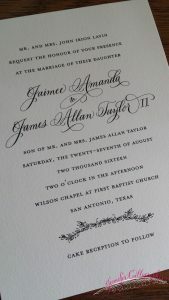 I am connected with a fine stationery company out of Tennessee called, Pepperite. 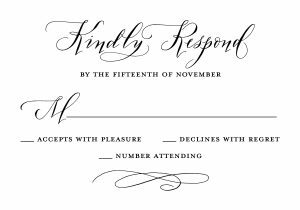 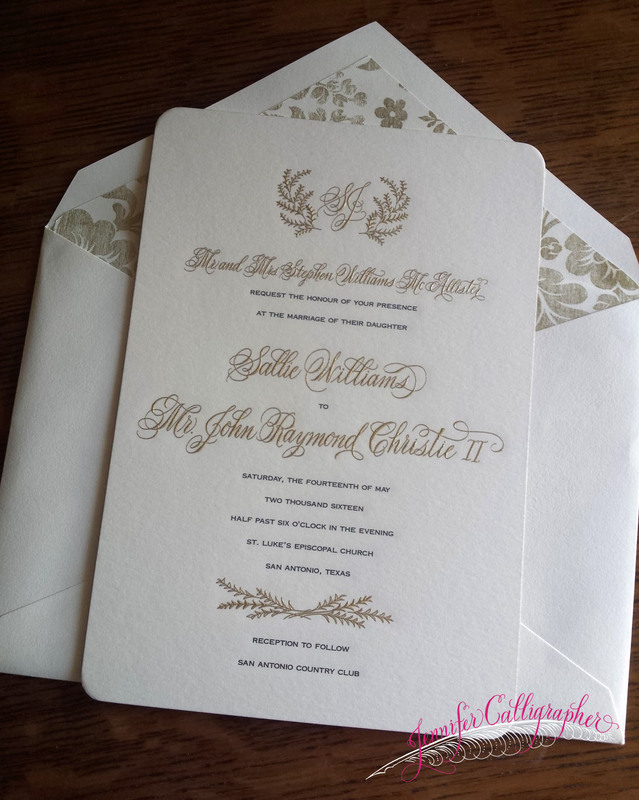 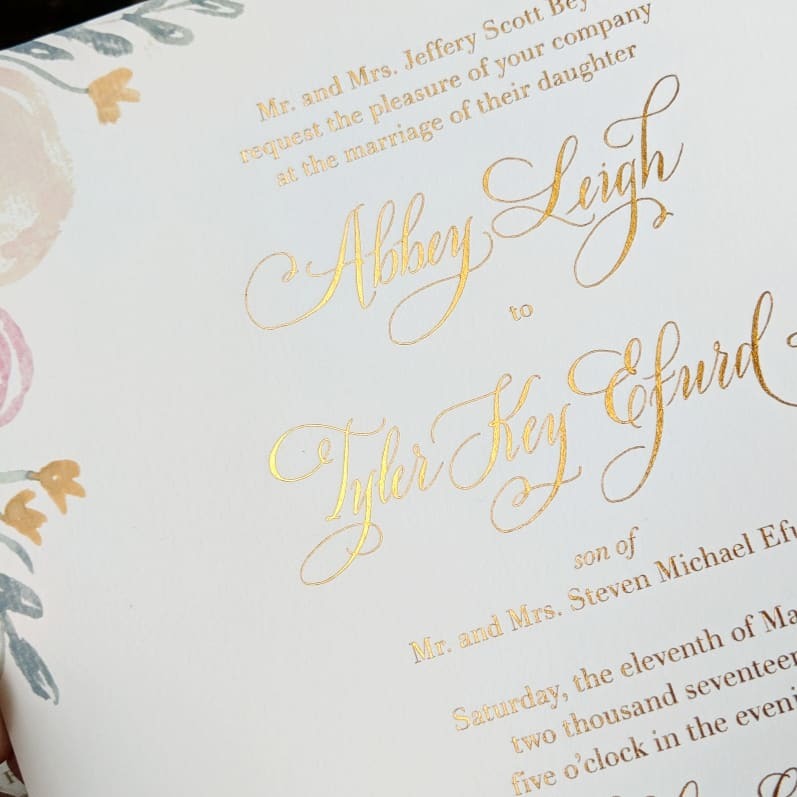 From flat-press printing, to letterpress, to thermography, to engraved invitations… they have many beautiful papers that we can choose. 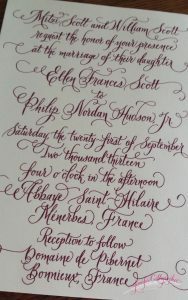 We can do all calligraphy, a font, or a mix of both. You can view the various papers they have available on their website, linked to here. 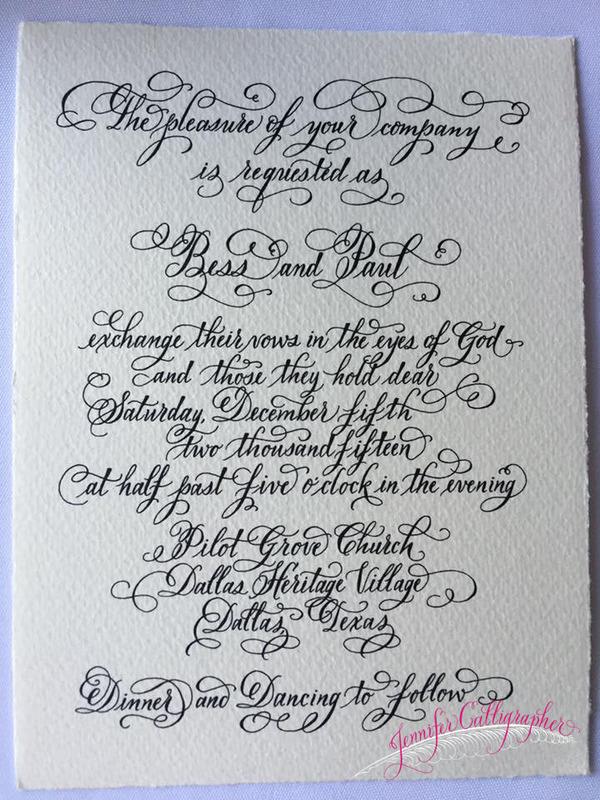 If you are in the Dallas area, I’m happy to meet with you and show you the large album of papers in person.